Congratulations, the start of your new life and new business starts right now. 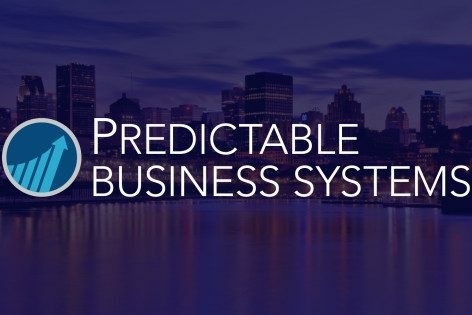 The Predictable Business System program is designed to help you create something every entrepreneur and business owner need to take their business to the next level... documented systems. These systems will enable anyone with a baseline level of skill to operate your business and produce consistent, predictable and superior results, whether or not you (the owner) are present. For many business owners, the goal of Predictable Business Systems is to free them from day-to-day operations and make it easier to staff the organization with qualified people. This allows you to profitably scale and increase your income. Each week, new content will be released to you. To get you started quickly, you'll immediately have access to 6.01 and 6.02. Please start there - watch the videos, follow the worksheets and complete any necessary checklists. And remember, if you have any questions - please don't hesitate to reach out to us within the Private Predictable Business Systems Slack Channel.